Since 2011, Infant Optics has been a recognized leader in the development and manufacturing of high quality baby monitors. 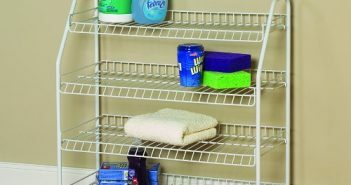 Their designs give parents, grandparents, and caregivers the most advanced capabilities available. According to them, nothing is more important than the life, health, and safety of a child. Their responsive customer service connects to live agents rather than answering machines, available 7 days a week. 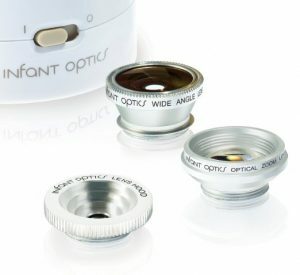 Infant Optics continuously strives to improve designs and manufacturing techniques through valuable feedback and comments they receive from their users. Once they launch a new product, their work doesn’t stop there. They are constantly improving functionality and reliability of existing products so that their monitors just get better and better. 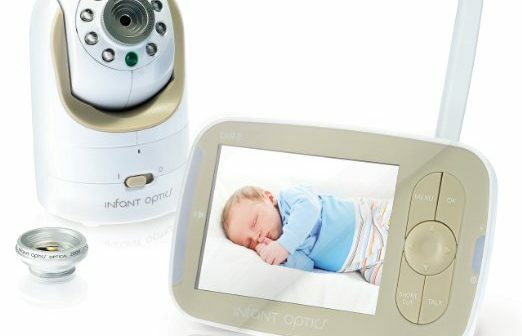 The Infant Optics company will be introducing more advanced and more reliable baby monitors in the near future, filling all the gaps from demanding parents. They intend to become the most trusted baby monitor brand in USA with the focus in after-sales customer service. You can rely on Infant Optics for the very best baby monitors, complete with advanced features, supreme quality, and highest reliability. The Infant Optics company does not specialize only in non-WIFI baby monitors. Video and audio never passes through the vulnerable internet. They stand behind each of their products. Call between 9am to 5pm DAILY to get connected to their live technical support team. Looking for a reliable and innovative baby monitor which will help you look after your baby and keep her safe and happy all the time? Then this is the place for you. Normal: Normal Setting using the Aluminum Lens Hood provides a crisp clear image with mid-range coverage: close enough to ensure your baby is safe with a wide field that captures immediate surroundings. Optical Zoom Lens: Optical Zoom Lens is perfect for close-up viewing during sleep. Unlike digital zoom where software simulates an image to appear closer, the optical zoom effect does not deteriorate resolution or image clarity. Place camera far from your baby and still enjoy an effective close-up view. Wide Angle Lens: Wide Angle Lens (sold separately) captures the entire room, a full 170 degree panoramic view. Best for active babies and toddler – they can play and explore and you can monitor them and their surroundings. Nothing will escape your notice. Wireless Portability: It has a portable power source which means- more durable than all the other baby monitors. The DXR-8 lasts 10 hours in power-saving mode, 6 hours with the display screen constantly on. Remote Pan/Tilt Control: This baby monitor is quiet, smooth and discrete. Remotely control the camera’s direction. 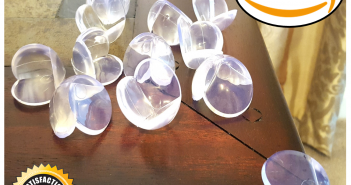 Sound Activated LEDs: A row of LEDs allows you to see the sound of your baby’s voice alerting you if he/she is crying out when you have the volume turned down. Two-way Talk: This way you can talk back to your baby all the time thanks to the intercom push-to-talk button. Temperature Monitoring: This baby monitor includes a remote in-room temperature display which lets you know your baby is comfortable and safe. Screen Off, Audio On Mode: When in power saving mode, screen turns off whilst sound remains on. Battery consumption reduces by ~50%. It transforms the DXR-8 into an audio-only monitor. 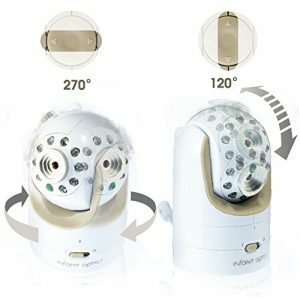 Invisible IR night vision: Infrared night vision feature allows you to look after your baby during the night with no problems at all. The Optical Lens is included when purchasing DXR-8 starter kit. It also includes aluminum lens hood protector. It can pair to existing DXR-8 monitor unit. It can be expanded up to 4 camera units. 100-240v compatible. Additional 1200mAh li-ion battery pack for existing DXR-8. Additional AC Adapter for existing DXR-8 monitor unit. 100-240v compatible. 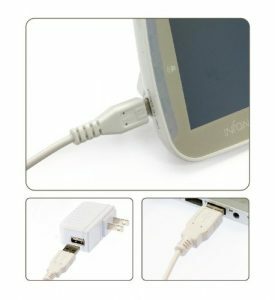 The package includes: 1x USB output adapter, 1x 3′ USB power cable, 1x 10′ USB power cable. Additional Camera Unit AC Adapter: Additional AC Adapter for existing DXR-8 camera unit. 100-240v compatible. Pros: It has numerous amazing features, high quality product, great camera options, the picture is very clear, the menu items and functions on the parent unit are very intuitive and user friendly, it has a battery which lasts very long, good exchangeable lens, temperature option, nice volume (not too loud), the night mode is crystal clear, it has an antenna, adjustable Pan/Tilt/Zoom is quick and easy to use from the control, long power cords. Cons: Sound isn’t sensitive enough, not the best method of attachment, projection of the image is turned upside-down and sometimes a bit blurry, the receiver battery comes uninstalled, it has range issues-needs improving. 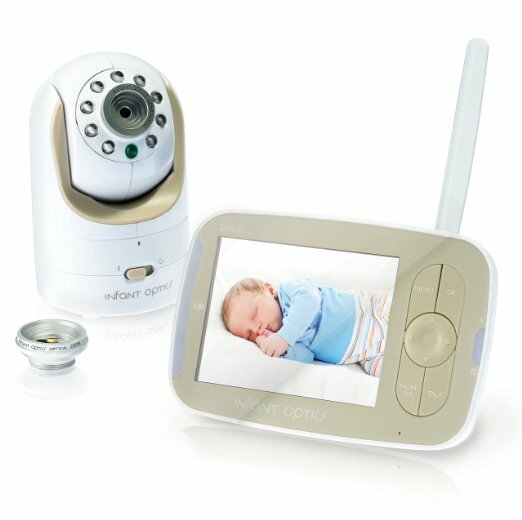 So if you’re looking for the highest quality baby monitor at any price, the Infant Optics DXR-8 is the one for you. You can find it here on Amazon!